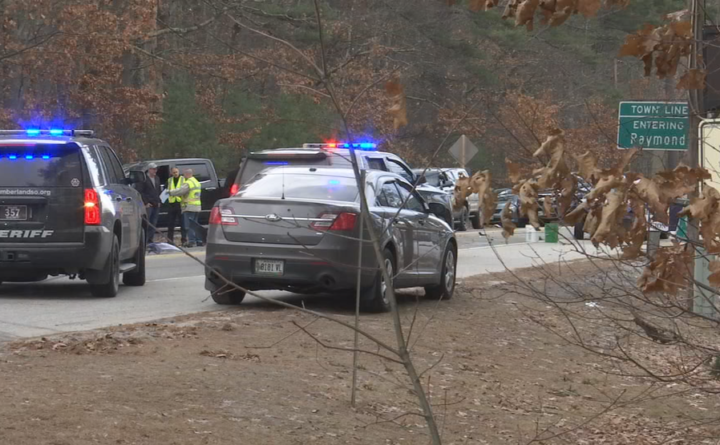 A high-speed chase along busy Route 302 in Windham ended in a crash Sunday afternoon. The chase reportedly started after deputies tried pulling over a man they believe was involved in a domestic situation earlier in the day, according to the Cumberland County Sheriff’s Office. Dale Tucker, 29, allegedly sped off after he was spotted driving a Chevy Cobalt along Roosevelt Trail near Route 35, deputies said. According to the sheriff’s office, deputies discontinued the chase after Tucker began driving recklessly. Deputies placed a spike mat along Route 302 near the Windham and Raymond line to try and slow Tucker down. Once he got to that area, investigators said Tucker tried to avoid the mat by swerving into the oncoming lane, eventually crashing into a car and truck. Two people in the car, a 91-year-old man and a 82-year-old woman, were brought to Maine Medical Center with serious injuries not considered life-threatening. A 60-year-old man in that car also was injured. Dale Tucker was arrested and taken to Maine Medical Center with injuries not considered life-threatening. He’s charged with aggravated driving to endanger, criminal speed, aggravated eluding a law enforcement officer and a number of other charges, according to the Cumberland County Sheriff’s Office. Tucker is still in custody at Maine Medical Center, but once he is released he will be brought the Cumberland County Jail pending arraignment.